Learn how to use the Email Tracking widget to get the status of your individual and group email marketing campaigns. It's imperative to have all of your email activity in once place, where it's easiest to access while you work. 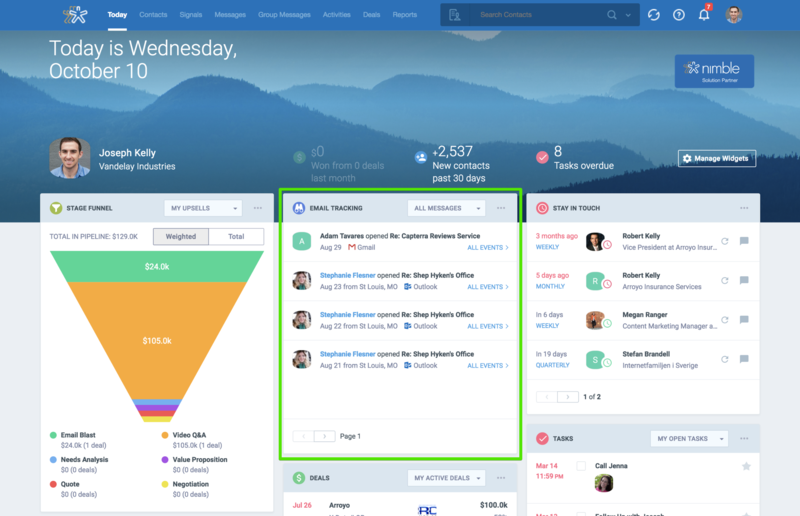 That way, you're able to follow up with your most engaged prospects and customers as soon as you sign into Nimble. 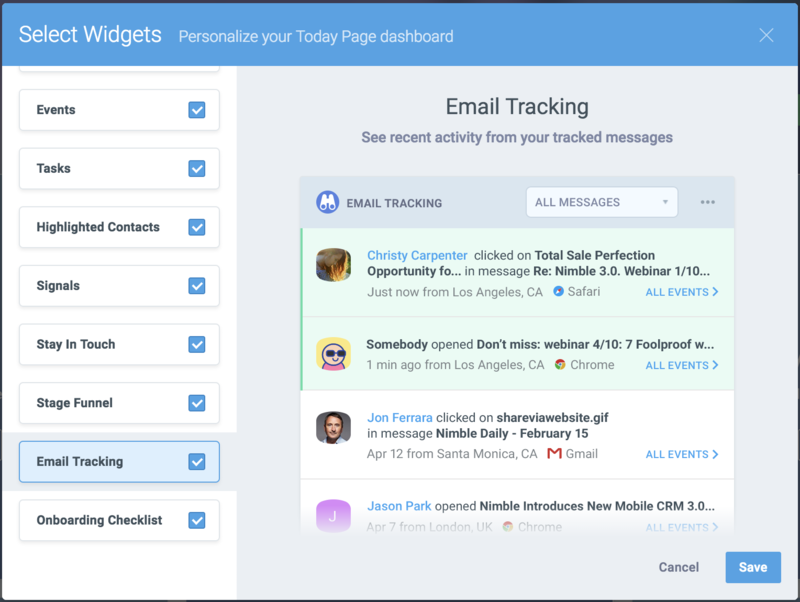 With our Email Tracking widget, you'll know exactly how your group email marketing campaigns and individual tracked messages are performing on the Today Page dashboard. On your Today Page dashboard, select "Manage Widgets" and select "Email Tracking" to add it. 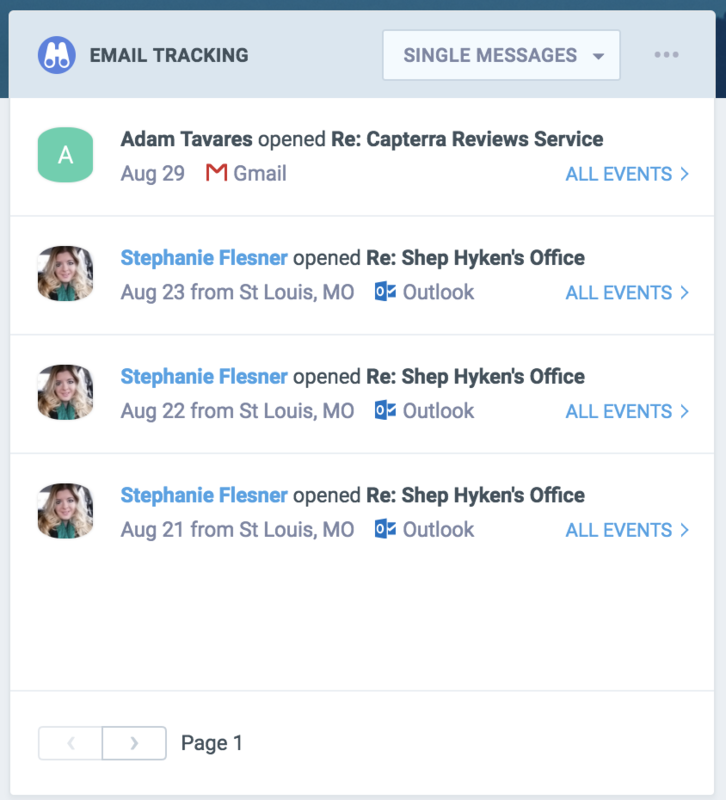 The Email Tracking widget shows a latest activity from your individually tracked emails and Group Message campaigns. 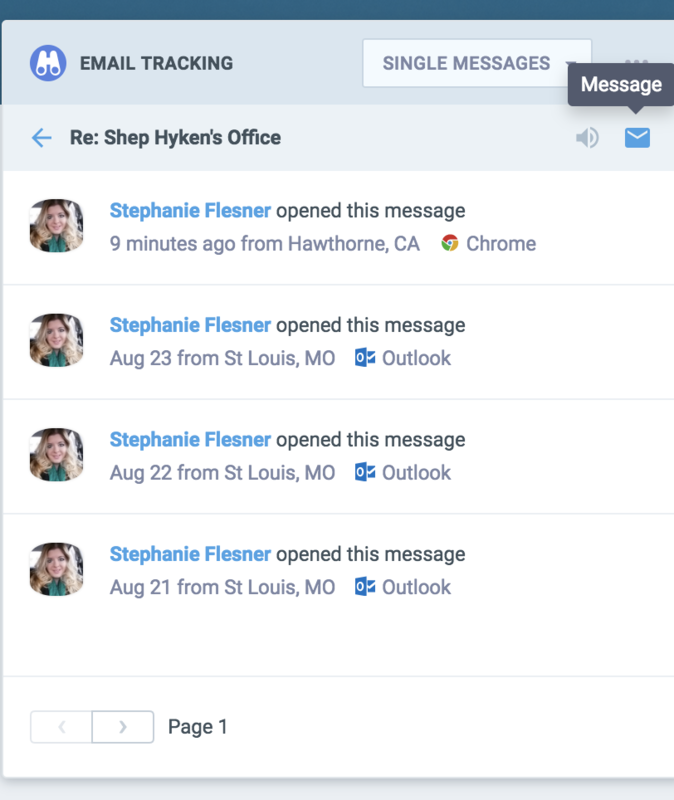 You'll see a sortable running stream of contacts that open messages, click links, download attachments, or reply back to you. 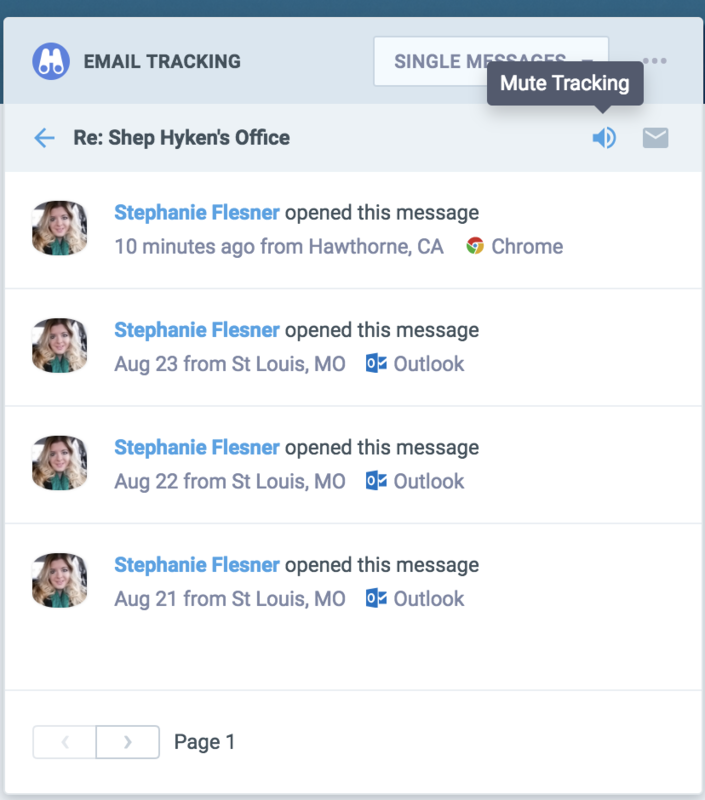 If you're like us, you are sending and tracking messages sent via Group Messages and single individual messages over Nimble on the web, in Gmail, or on mobile. 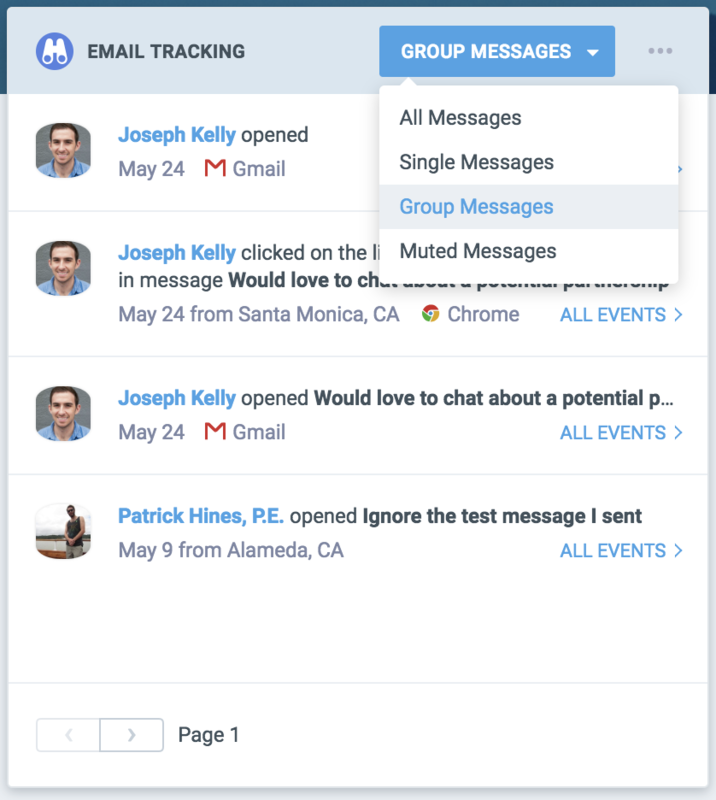 We make it easy to sort message tracking by single or group messages to help you easily sift through the activity. See a running activity stream of all actions on your outreach by selecting "All Events". This will show you a running stream of engagement on your thread, including opens, clicks, replies, and file attachment downloads. 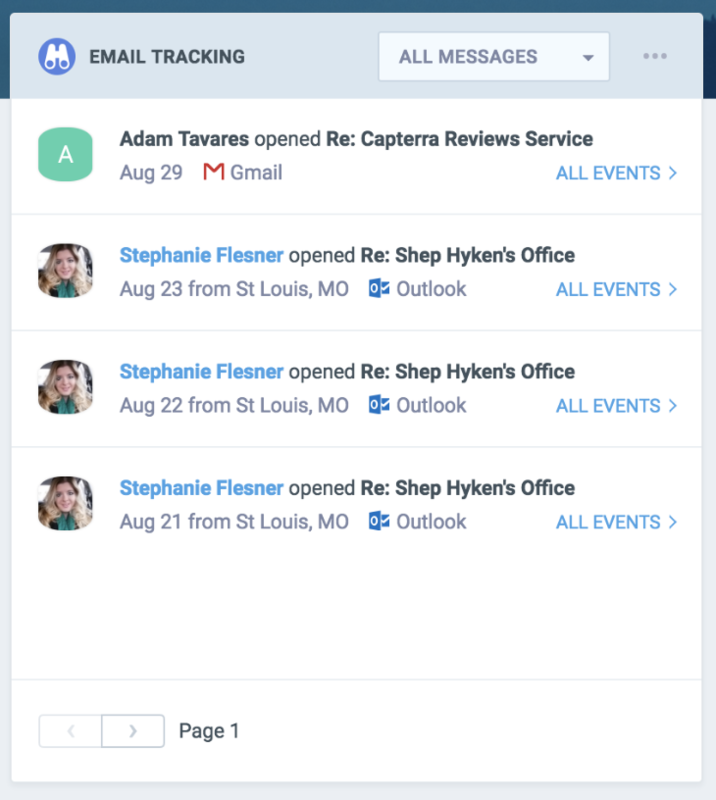 Select the message envelope while viewing the activity report to send a follow up email to your contact, straight from Nimble. This is also available on our Nimble iOS app for engaging with top contacts while mobile. Are you done following up on a specific thread? Simply mute it to move it from your main reporting streams. Choose to mute reports for 24 & 48 hours or indefinitely. Keep your eyes peeled for more Today Page dashboard widgets in the future!